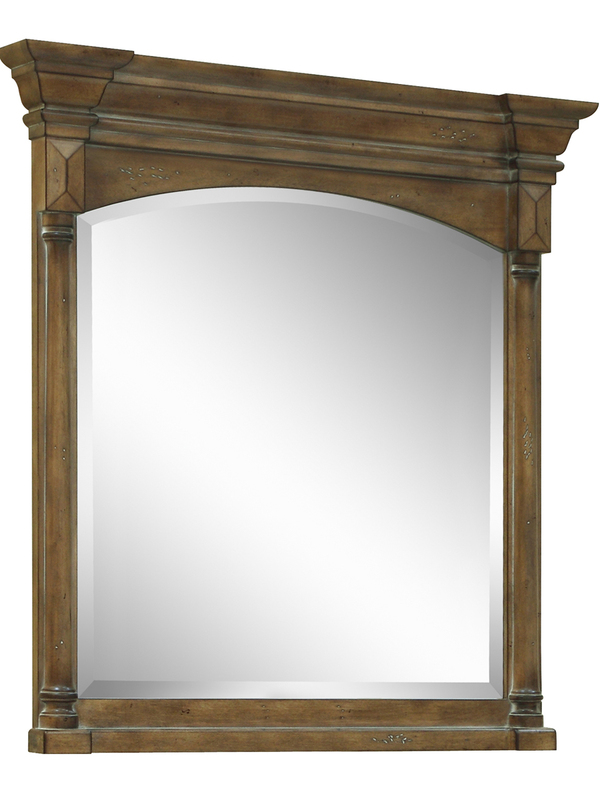 The 48" Regency Place Single Vanity is the largest in its collection and offers ample storage space with just as much flair! Featuring a hand-applied finish that gives it an aged linen appeal, the Regency Place also boasts an accenting glaze and a lightly distressed appeal to give it an authentic antique appeal. 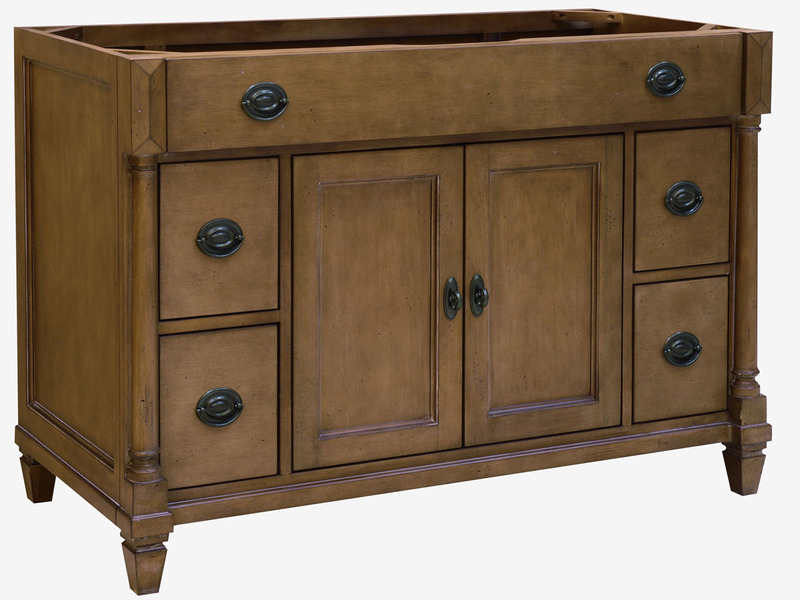 Each drawer and cabinet door is decked with an antique pewter handle to enhance the antique feel. 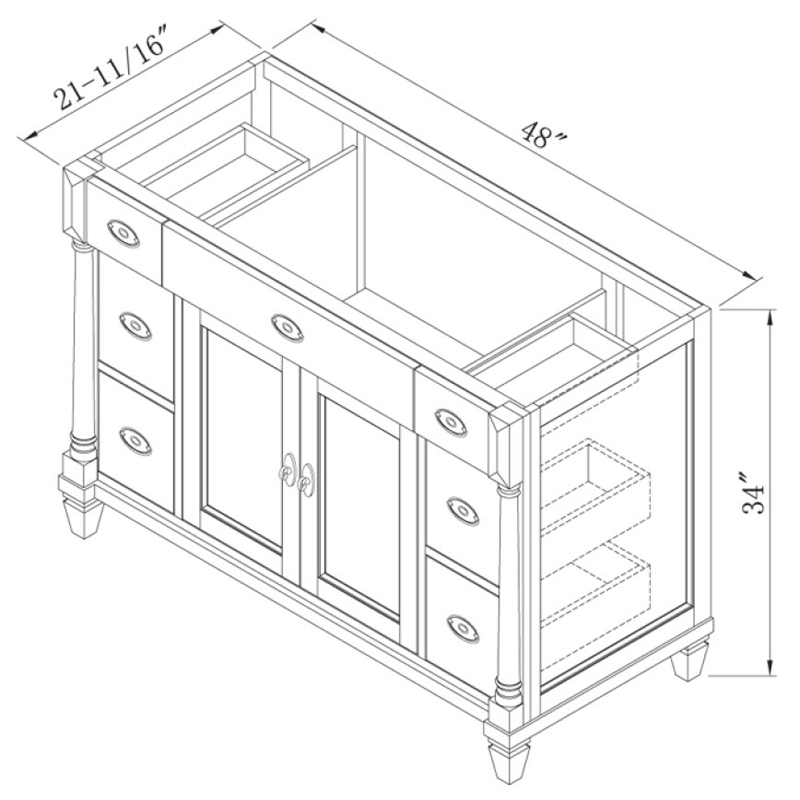 This vanity offers 6 fully functional drawer, three on each side - all made from solid wood and equipped with full-extension slides for easy access and durability. 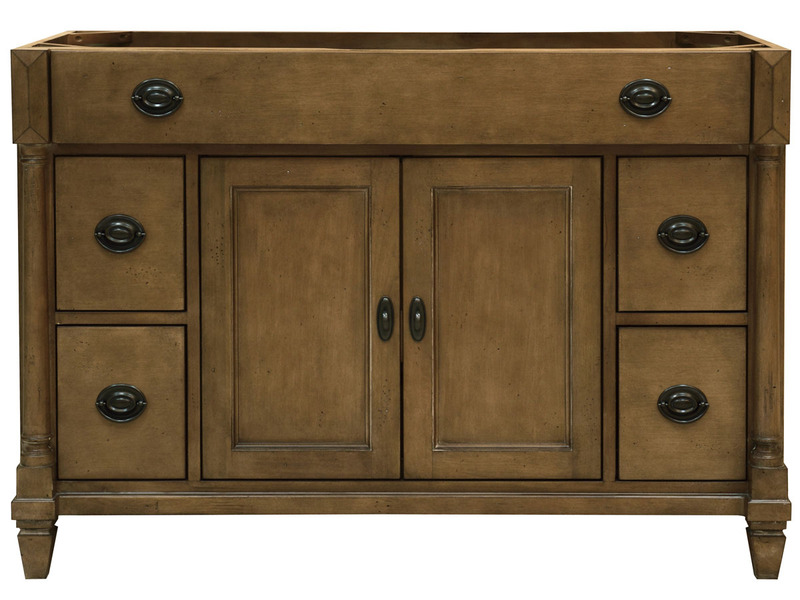 The double-door cabinet is equipped with soft-closing mechanisms and open up to reveal even more storage space! 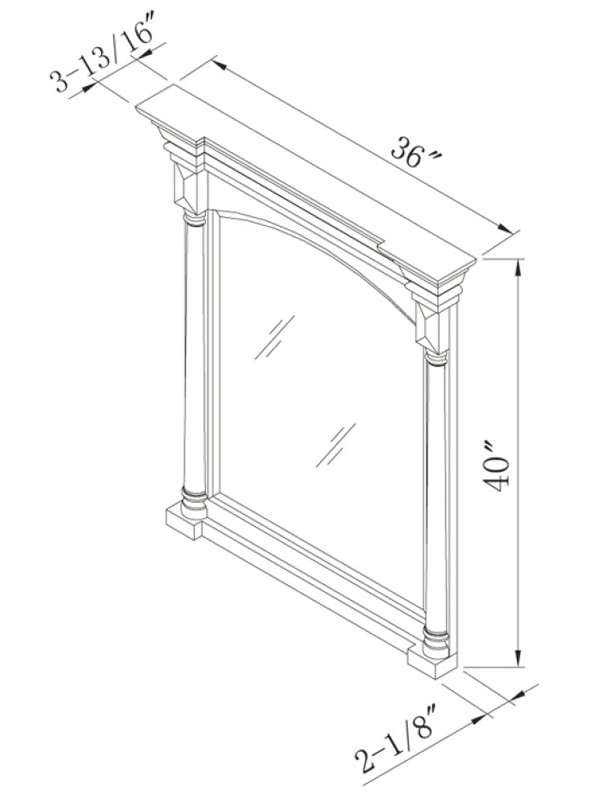 Tapered legs elevate the Regency Place off the floor and are installed with adjustable levelers for easy installation. 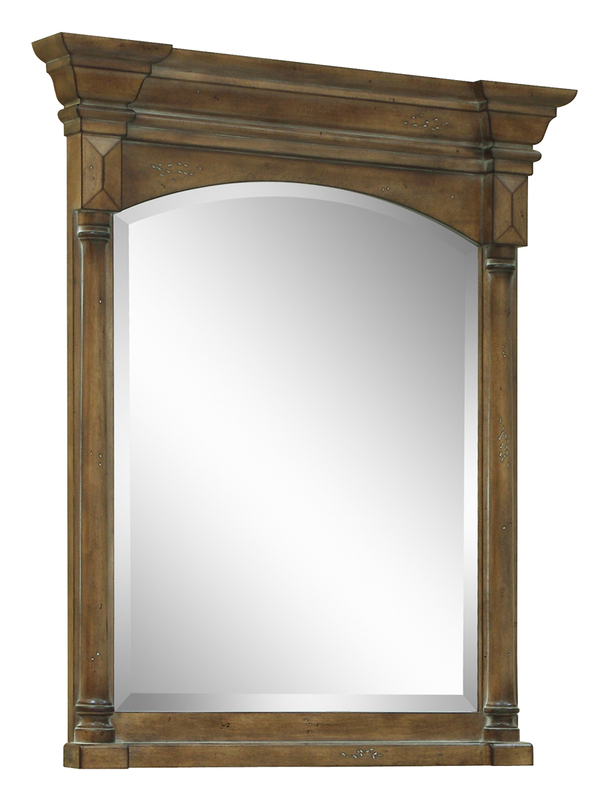 Add a matching mirror to the Regency Place Vanity to complete your bathroom makeover with a truly refined, beautifully traditional look! 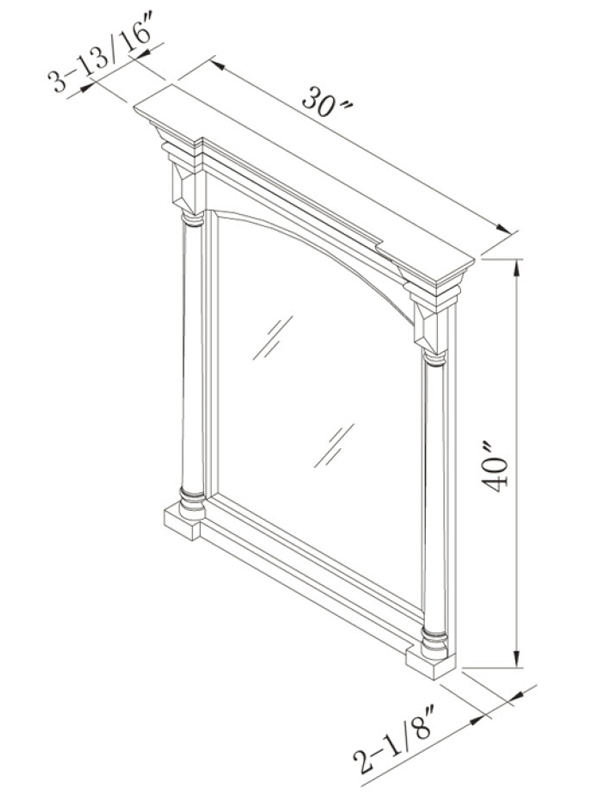 Give your new Regency Place Single Vanity a top to dazzle - with four spectacular top options to choose from. Each top option is pre-sealed and pre-polished to a smooth finish and is includes a pre-mounted undermount white ceramic sink!